My kiddos love baking and have loved all the cute themed cookies we have gotten previous years. So, this year we decided it was our turn to make something fun without the mess of frosting. I think they turned out super cute! Don’t you? And true to our theme…they were REALLY easy to make! And can I tell you, sugar cookies and pretzels together taste amazing! A perfect combination of sweet and salty. 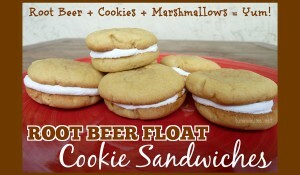 Go on, I know you want to make some… Enjoy! Step 2: In a separate bowl sift baking soda, flour, cream of tartar and salt together. I cheat and usually use a wire whisk or fork to mix it all together well. Step 3: Add flour mixture to the creamed butter mixture and mix together. Step 4: Roll into balls and dip in sugar. For this recipe the cookies are a little crumbly (and that may have been because we used coconut oil instead of butter), so we squeezed them into a ball and they turned out great still. Step 5: Bake at 350 for 8-10 minutes. In our oven, the cookies were perfect at 8 minutes. Aim for the edges to be barely turning brown. Step 6: While the cookies are baking prepare your reindeer faces so everything is all ready to place on the cookies while they are warm. i.e. unwrap the Kisses and cut the pretzels into desired antler size/shape and have the red Sixlets ready to go. 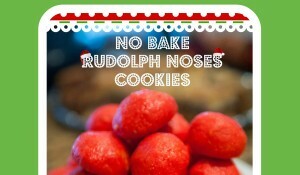 Step 7: Add your Reindeers face! Add a Kiss to every cookie near the bottom. The kiss will start to melt, so try not to touch them. Add the antlers. The girls jumped to antler ears before the red nose, but I’m thinking that was a good choice for them because you don’t want to bump the nose once it is on. Add the noses by gently topping each Kiss with one. The Kiss should be melted so no need to push down to hard. Step 8: Serve and share with friends…or eat them all because they are awesome. I won’t judge you at all. I had to hide them from the kiddos because they kept attacking them! Don’t use Coconut Oil as a butter substitute if you will be refrigerating the dough: Using coconut oil made these cookies taste great, but we ran out of time to bake them the same night, so we refrigerated the dough. No bueno! It made the dough rock hard and it took a long time to thaw on it’s own. We ended up having to defrost it in the microwave (less than 20 seconds) to help speed it up. Refrigerating typically makes the dough awesome, so if you are not going to make the cookies in one day, skip the Coconut Oil. Use large pretzels for the antlers: I think my store was out of larger pretzels, so I grabbed the mini pretzels. They turned out fine, but I think you could get better antlers with the larger size.